While wood working can be expensive, the materials you will need for all of your dream projects are more accessible than you might think. Just drive along any even somewhat rural road, or around the back of most commercial garage space suites, and you are bound to come across a huge stack of pallet wood. One might think that pallets are comprised of cheap, good for nothing material, but the fact is that pallets, especially those used for cargo containers on ships, are made of some of the strongest hardwoods available. With that in mind, there are a ton of versatile applications in the DIY realm for pallets from furniture to decor. In this article, we talk about picking and preparing pallets and outline our favorite wood pallet projects. It is strange to think that anyone might wonder where to find pallets. In those moments in our lives when we lack the time capital for another DIY project, we seem to find stacks of them on the side of every dumpster, behind every store front in town. That said, it in times when we are most in the market for free hardwood that there are no wood pallets to be found for miles around. When this is the case, there are a few tried and true methods you can resort to in securing material for your next big project. The above list are the logical places to find an abundance of wood pallets based on the nature of each location’s business operations and industries. For example, landscapers, pool servicemen, and industrial cleaners all order, use, and distribute mass quantities of chemical agents in their every day work. In order to keep prices low, these companies are most likely ordering in bulk, which means pallets. The same is true of any large retailer, but especially in the pet and grocery industries where non-perishable products come stacked high and wide. Another great pallet resource is facebook marketplace. This is less of a goldmine and more of a treasure map, acting a place for businesses like those mentioned above to advertise their huge collection of free pallets to anyone in need. So you’ve followed up on a tip as to the whereabouts of a huge score of free pallet wood. Turns out the information was good. You’ve hit the motherload. Now it’s time to be a little selective. When sorting through pallets, it is important to wear protective equipment. While pallets are comprised of pretty high quality wood most of the time, this wood is rarely finished in any sense of the word and so the chances of getting stuck with a splinter or rogue nail are pretty high. You’ll want to avoid pallets with liquid staining or discoloration. Remember that pallets are a transport tool for any and everything. Markings like these can be a sign that your pallet was designated for the transportation of something toxic, which you’ll want to avoid. Once back at your workshop (garage), you’ll first want to deconstruct the assembled pallet to take inventory of material. Use a pry bar rather than the back end of a hammer if possible, and try and set the pallet on a raised surface so that you can take advantage of gravity and natural leverage with your pry tool. As much as possible, you will want to pry nails rather than boards themselves as apply that kind of force direct to a portion of one board can cause splitting or cracking. Remember that pallets are comprised of some pretty hardwood. Sometimes nails do not come out all that easily. In these cases, you can use a reciprocating saw to cut the nails flush to the board. From there, you can bore the nails heads out with a drill bit and a cordless drill. If you’re still here, you’re probably rearing to get your hands dirty with your own pallet project. If your in need of inspiration, you’ve come to the right place. 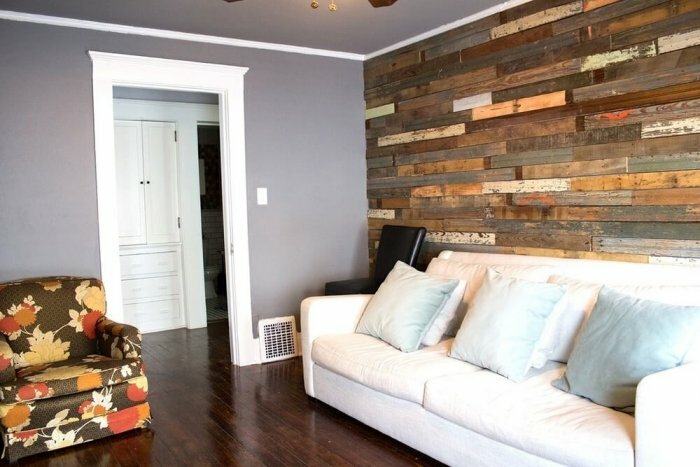 Here is a list of our favorite pallet projects with some brief overviews. Furniture is a favorite for pallet project enthusiasts. 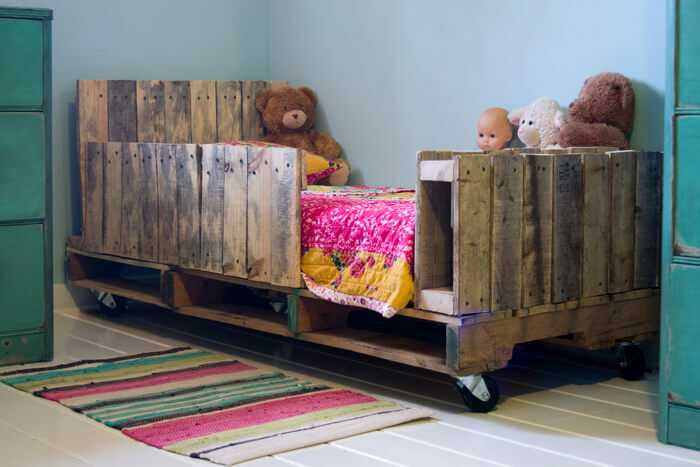 The pallet toddler bed can be built from two pallets giving your child a sturdy night’s sleep with a rustic aesthetic. Here is the guide on how to do it. 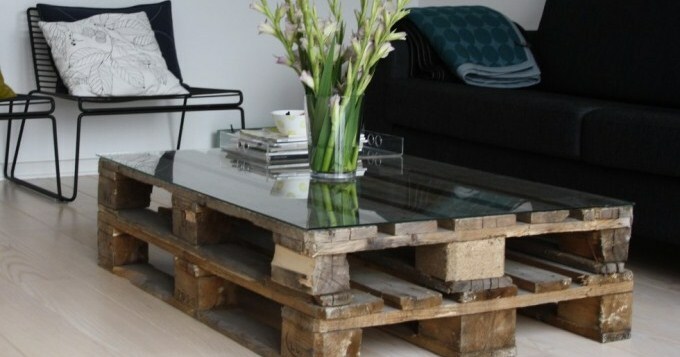 This pallet coffee table is something straight out of your favorite furniture manufacturer’s catalogue. With a finished top, spacers, an open concept for storage, and industrial caster wheels, this piece can be an amazing focal point for any seating area. 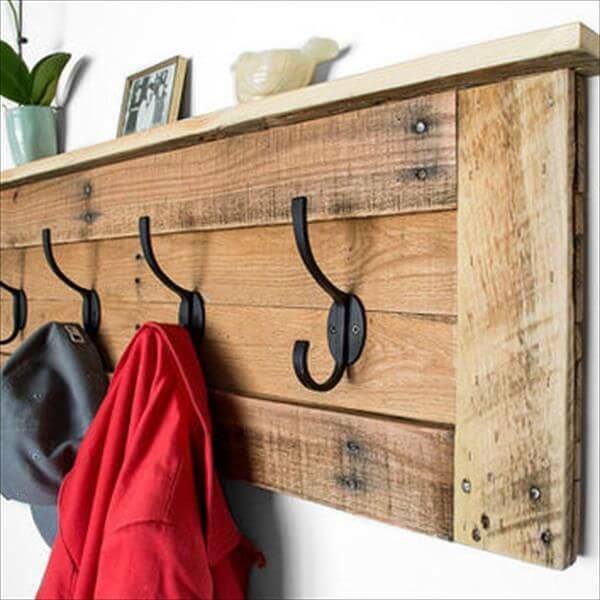 A pallet coat rack is a nice way to get started in the world of DIY. 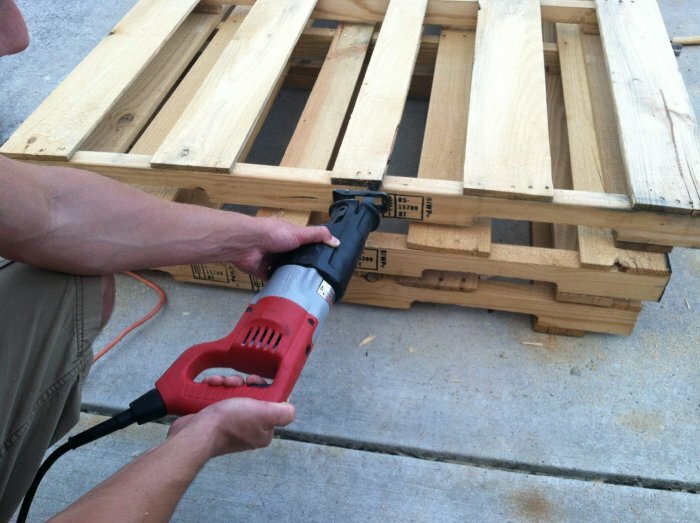 Your mostly using the top of the pallet and dressing up the wood as you see fit. You can really get creative with the design elements here, adapting your pallet to a child’s room or a formal space in your home simply by playing with color and finishings. Find out how to make one. Decorative signage is hugely popular right now. 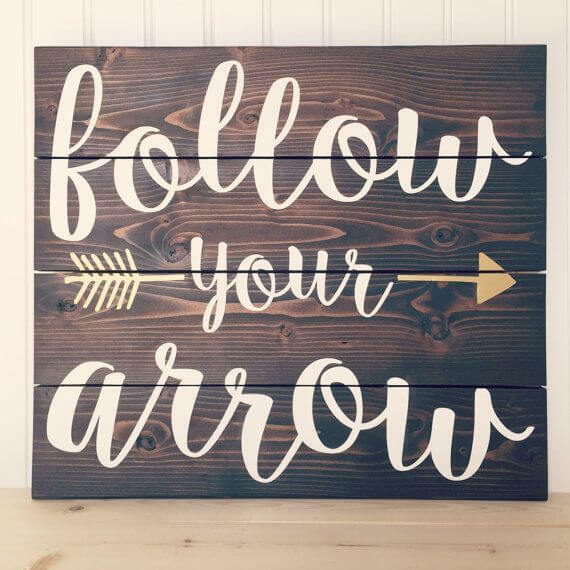 Pallet wood provides the perfect rustic canvas for whatever message is important to you. This is another great starter project. The hardest part will be the deconstruction. The perfect floating shelves are just a pallet away. While each shelf is small relative to the size of the pallet, size is no indication of required skill. This one will take some precise measuring and cutting in order to create the balance necessary for your shelves to hold up. Wall board is huge right now, made popular by Fixer Upper host, Joanna Gaines’ love of “shiplap.” At the end of the day, all shiplap really is is a pattern of individual boards secured to an existing wall for accent. You’ll be using alot of pallet wood here, and only the cross boards, so there is a lot of demo in the cards for this project. Find a DIY guide here. 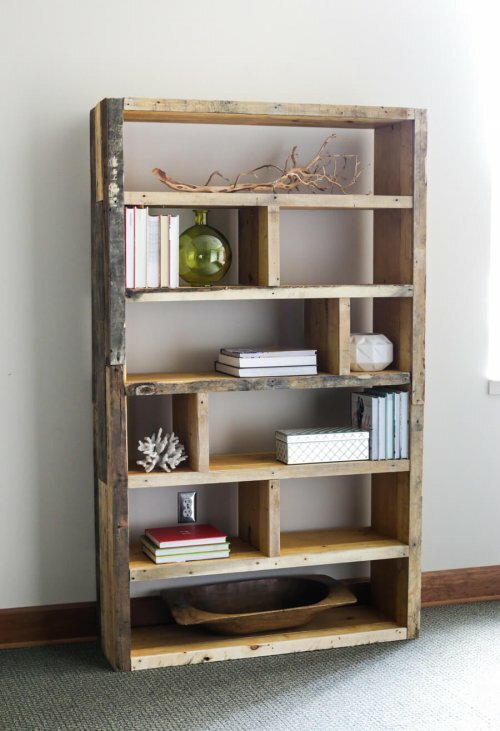 If you’re still not super comfortable using pallet wood for a piece to be housed indoors, this project is perfect for you. 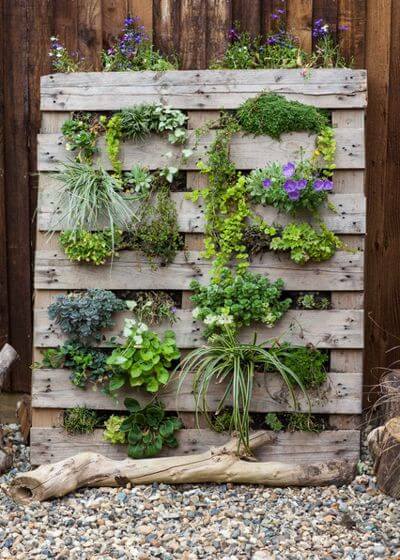 The pallet planter is the ultimate repurposing and can be as finished as you’d like. This makes it a great introductory project. For this one, try and find a pallet or two that has been weather treated so that the planter won’t rot under heavy rain or watering of the plants inside. It is our hope that having read this article, you are becoming a believer in the viability of the pallet as a fundamental building tool. These are not just scraps and they are certainly not trash. Pallet wood is good, strong material great for furniture building or any other type of wood working. If you’re thinking about getting started on your own pallet project, follow the steps outlined above concerning locating and selecting the perfect pallet. The pre-work is the hardest part. Once it is done you are well on your way to a new, hand made piece for your living room, mudroom, or garden like those outlined above.